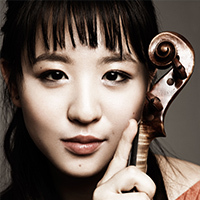 Born in South Korea, Anna Lee began violin studies at the age of four with Alexander Souptel and debuted as soloist performing the Paganini Violin Concerto No. 1, a year and a half later with maestro Lan Shui and the Singapore Symphony Orchestra. Concert venues that Anna Lee has appeared in are the Carnegie, Wigmore, Alice Tully, Avery Fisher, Victoria, and Esplanade Concert Halls. She has claimed top prizes in the 2011 Sion-Valais, 2010 and 2012 Menuhin (Junior and Senior Divisions, respectively), and Blount-Slawson Young Artist Competitions. Anna Lee has been featured in music festivals around the world such as the Gstaad Menuhin Festival and the Marlboro Music Festival. She was also presented by Sir András Schiff at the BeethovenFest in Bonn. As a soloist, Lee made her New York Philharmonic debut in April 2011, as well as her Frankfurt debut in 2016 with maestro Christoph Eschenbach and the Frankfurt Radio Orchestra. Lee finished her studies with Masao Kawasaki and Cho-Liang Lin at the Juilliard School Pre-College Division in June 2013, and in June 2017, she graduated from the Kronberg Academy, where she studied with Ana Chumachenco. Currently, Lee studies Comparative Literature at Harvard College, as well as privately with Miriam Fried and Don Weilerstein.